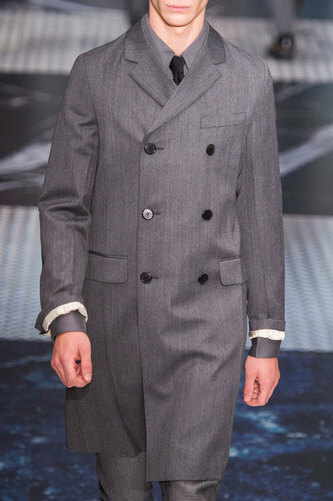 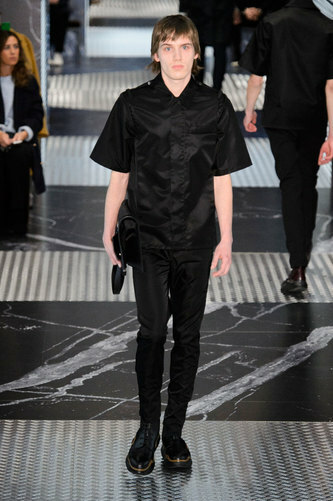 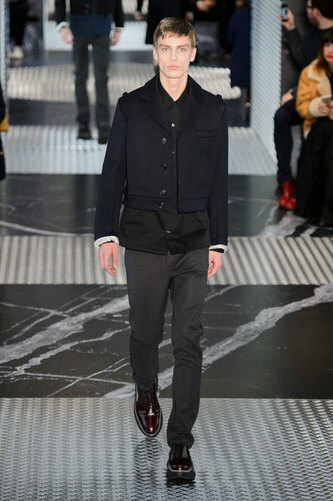 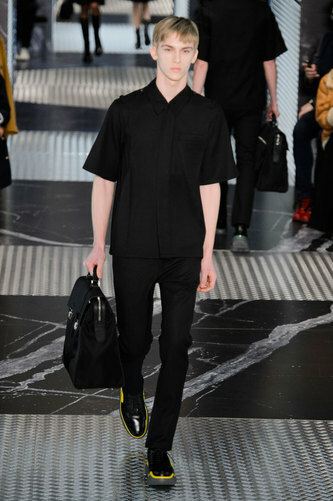 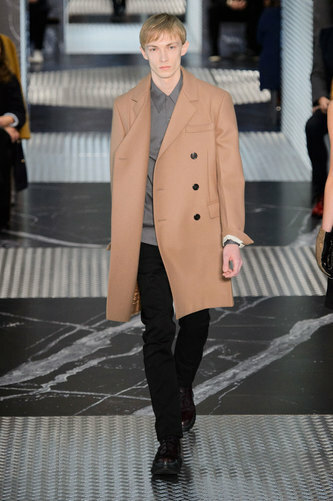 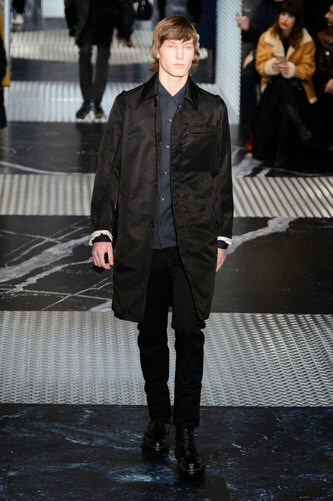 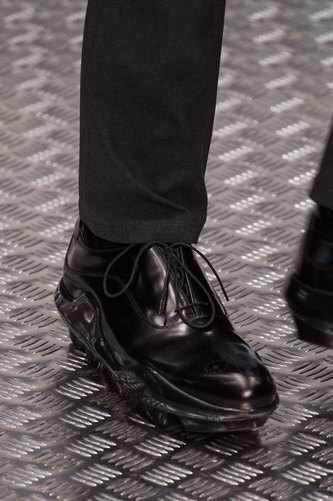 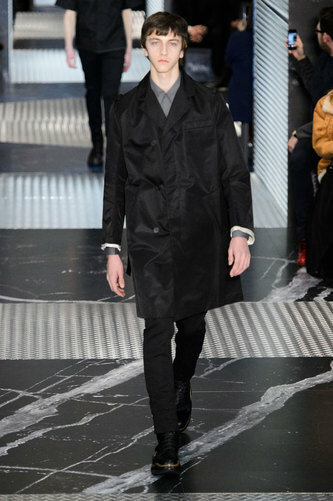 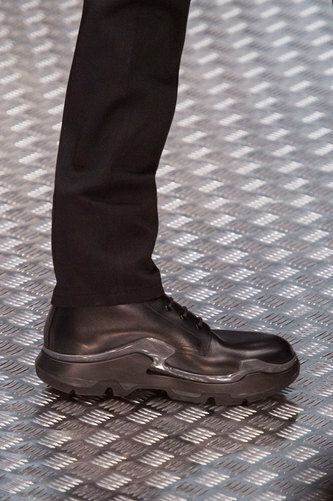 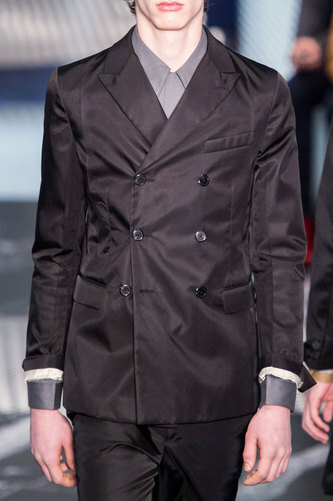 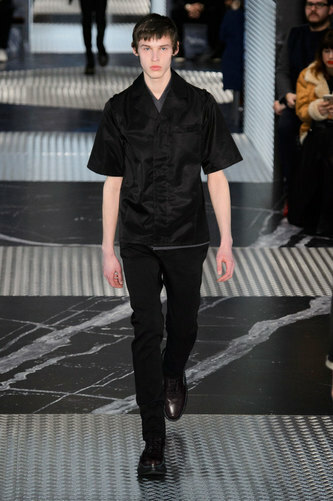 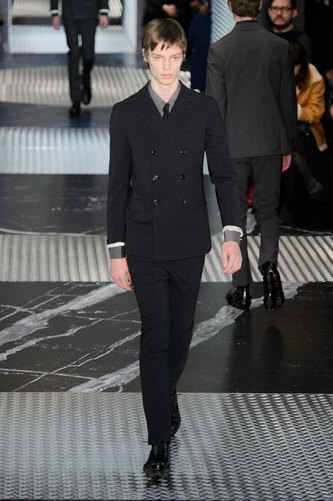 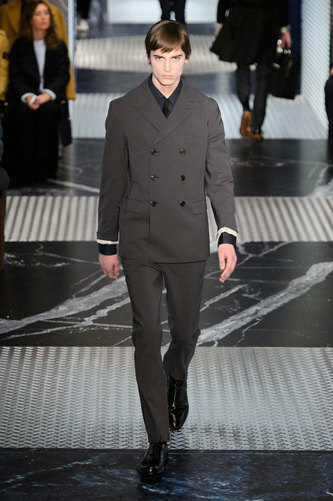 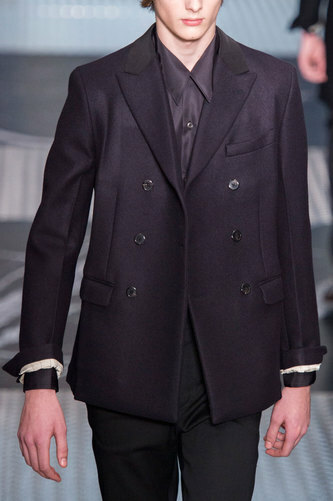 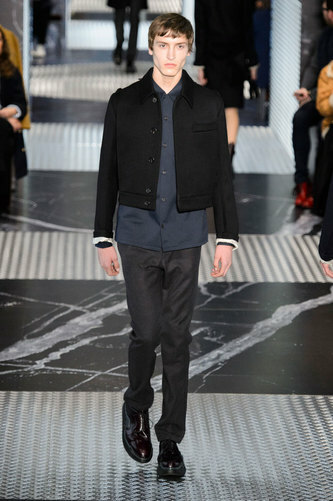 Prada Man Autumn-Winter 2015-16 – Watching Prada’s outfits on the runway, it becomes difficult to distinguish if this is a menswear or womenswear show. 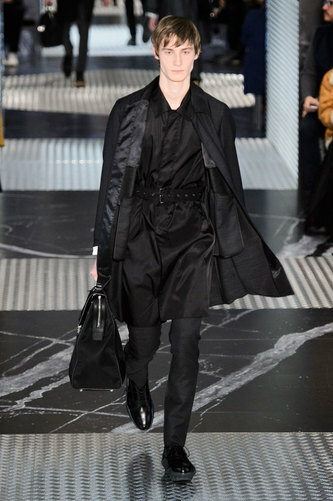 This was exactly what the Italian brand wanted to accomplish for this season: “This first part of the Autumn/Winter 2015 fashion show continues Prada’s analysis of the relationship between men and women. 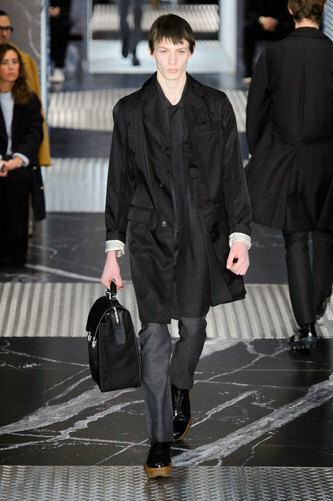 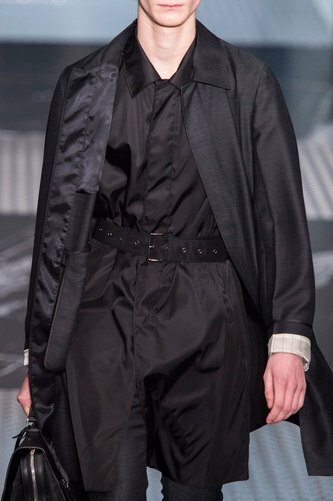 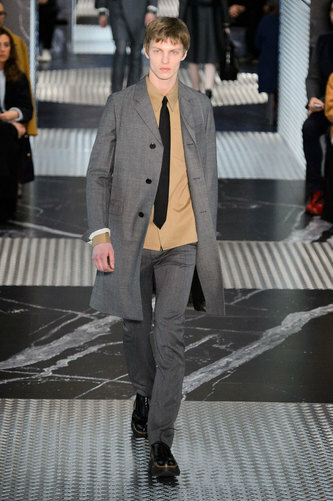 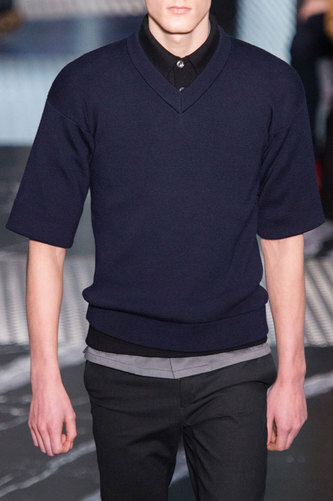 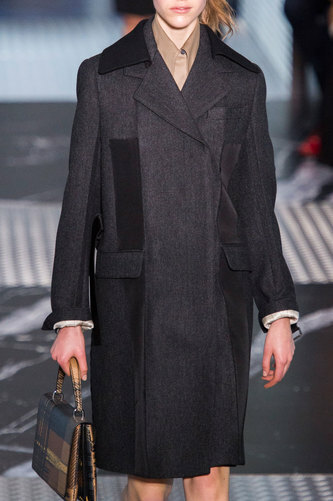 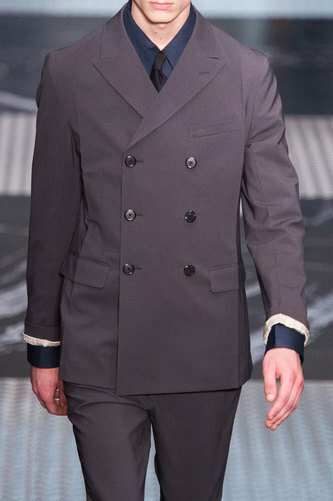 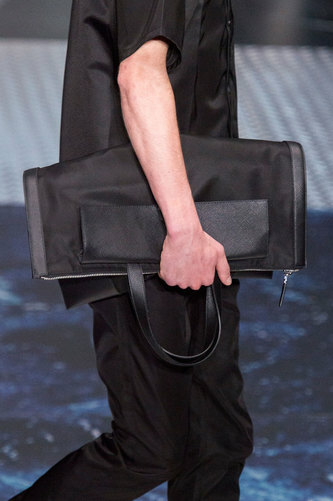 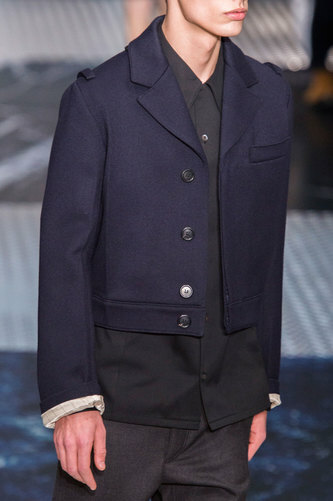 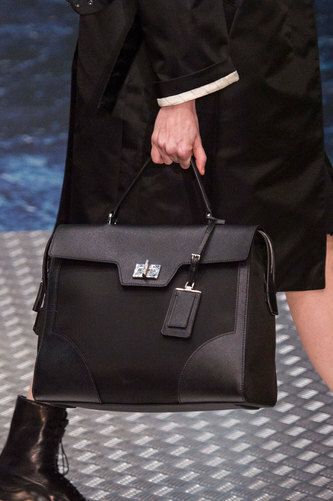 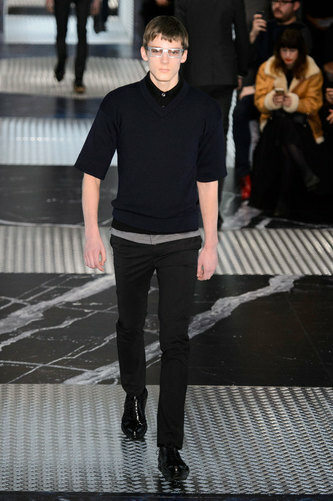 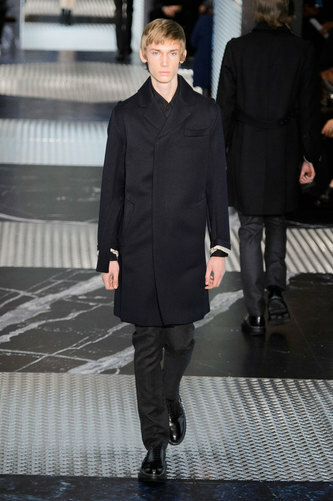 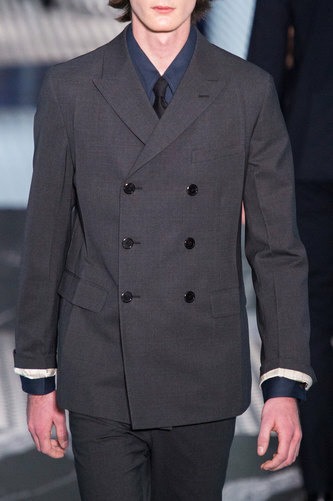 Camel, navy, grey and black linear garments are a perfect symbol of the minimalistic approach of Miuccia Prada. 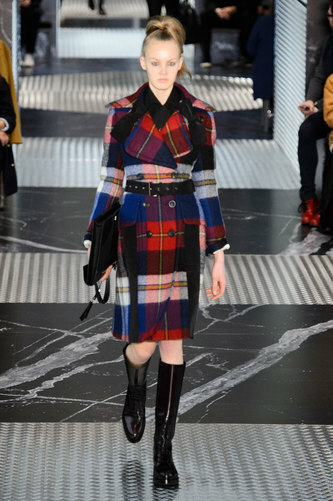 The Autumn feeling was given only by one electric blue and red plaid knee length coat: beautifully tailored. 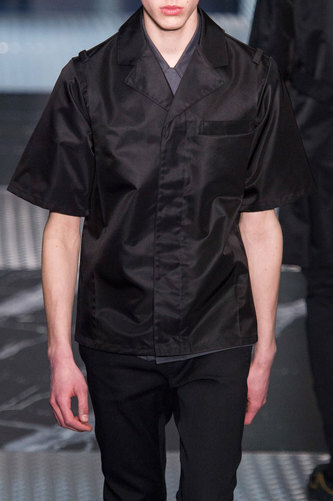 The succession of opaque and shiny fabrics often in nylon gave the collection a strong and defined personality. 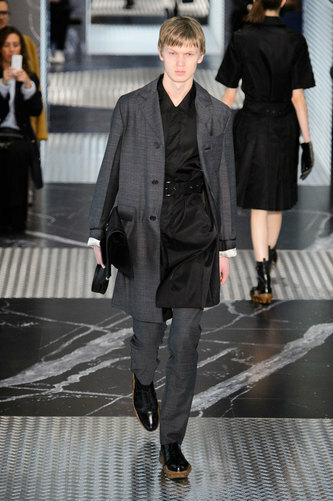 The women dresses, decorated with delicate ribbons, seem to be designed for cocktail summer evenings more then for freezing winter days. 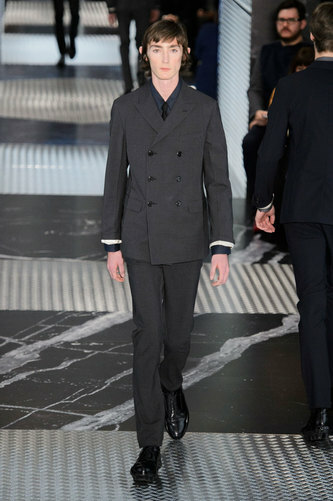 The show was a perfect example of simplicity, fair and “less is more” philosophy.